It’s also important to make sure that you add new content to your website regularly. In our opinion, the best way to do this is to write regular blog articles. As a landscaping article, you could post a short write-up of your best jobs, complete with pictures and videos of your work. A lot of people underestimate the importance of meta descriptions and page titles. In reality, these are one of the most important parts of your website. They tell search engine what each page on your site is about, which helps you rank higher for relevant keywords. When you’re posting images on your website, you need to make sure that you name them and add a descriptive alt text. Since search engines can’t recognise what images are showing, this text is what tells them exactly what you’re showing. Take the time to do things properly. 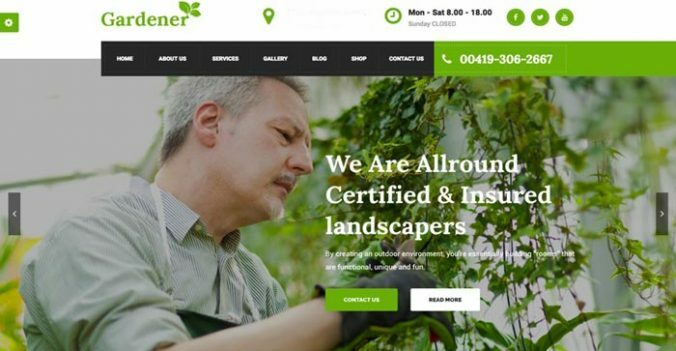 When you’re creating a new landscaping website it can be hard to stay on top of everything. The best advice for novice website builders is to make sure that you take things slowly, stay on top of things like page titles and meta descriptions, and make sure that you take all aspects of SEO into consideration. Alternatively, speak to your local digital agency about having a customised website build for you.